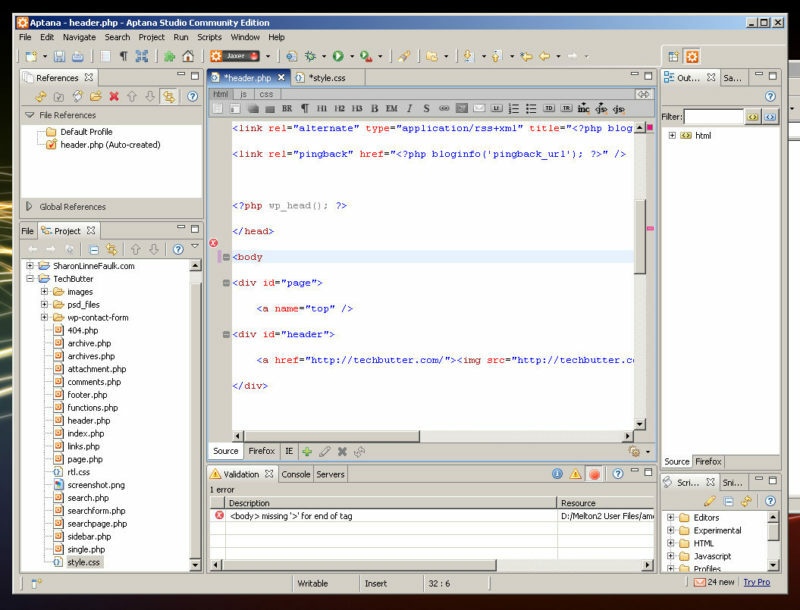 There have been several websites lately that focus on creating an operating system that is browser based. A place where you can get to all of your stuff from any location that has Internet access. A couple of the others are EyeOS and YouOS. 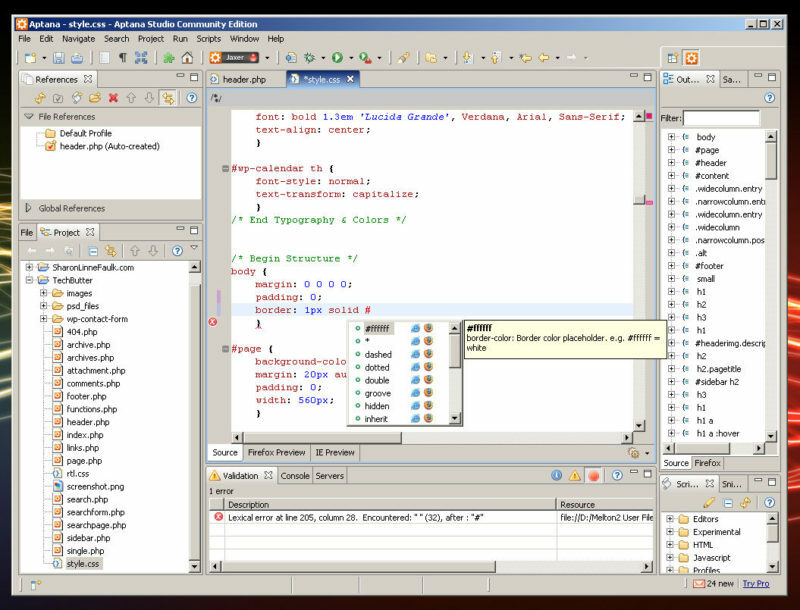 There is even works for an ajaxOS version of Linspire. What that will do is allow your computer to launch the most up-to-date version of software from the Internet, everytime you open the application, the best part is, you don't need to install the software. However, we're not talking about Linspire. In this blog entry I want to talk about DesktopTwo, an online operating system that I have been playing with for the past couple of days. An online OS is exactly what it says it is. You will go to the website, login to your account and you will be presented with a graphical user interface. What can I do with DesktopTwo? At the moment, most of the online operating systems are limited to a few basic functions. However, that is rapidly changing. With DesktopTwo you can blog, edit your websites, instant message, play your MP3s, email AND the best part about DesktopTwo is that you have online storage, 1 gig to be exact so you can write documents and save them to your online desktop. You won't be able to replace your current operating system. There just aren't that many applications yet. Key word beying yet! Things I like, don't like and thoughts I had while using DesktopTwo. One thing that I really like about DesktopTwo is that it works just like a normal desktop operating system would. You double click on icons and they open just as they would on any other operating system and they open rather quick as well. The applications look like real applications. They feel like real applications. You can change the wallpaper, change how many icons appear on the desktop. It runs very smoothly. Some of the other online operating systems that I have played with are sometimes a bit choppy. This one is rather smooth and feels nice. It appears as though you can share applications with other users. Might be useful for getting someone started with DesktopTwo. You can upload and download files into your hard drive. I wasn't able to download a file because I couldn't create one. However, I was able to upload files from my local drive and download them again. It appears as though they are developing widgets. They have one widget that tells you the time, date and how much hard drive space you are using. I like the MP3 player and I like the functionality that it provides. I think this would be perfect for me because if I was traveling I could upload my collection of MP3s to this service and simply stream them back to me. I know having the actual MP3 on my computer or a portable device would be better but what if I didn't have room on my hard drive. Better yet, what if I was on the road and was running out of storage space on the hard drive, I could upload to a service like this, download them when I got home and still have the ability to listen to the music. The only problem then becomes the amount of storage that is available on the service and your connection speed to be able to stream them back. You also have to be connected to the service to listen to your music. However, I still think this would be a great way to dump some files off of your hard drive for making room for pictures you have taken on your trip or at least it would for me. Once they integrate more applications into this service you could very well use it for terminal computing. Got some old computers? Simply connect them to this service, put them in full screen mode and you'd have a fully functioning computer. Yes, you could use a service like CosmoPod.com but this is much faster. When you click on the browser, if you are using Firefox, it will simply open another tab in Firefox. I'm sure they are working on their own web browser that will be integrated into the operating system soon. 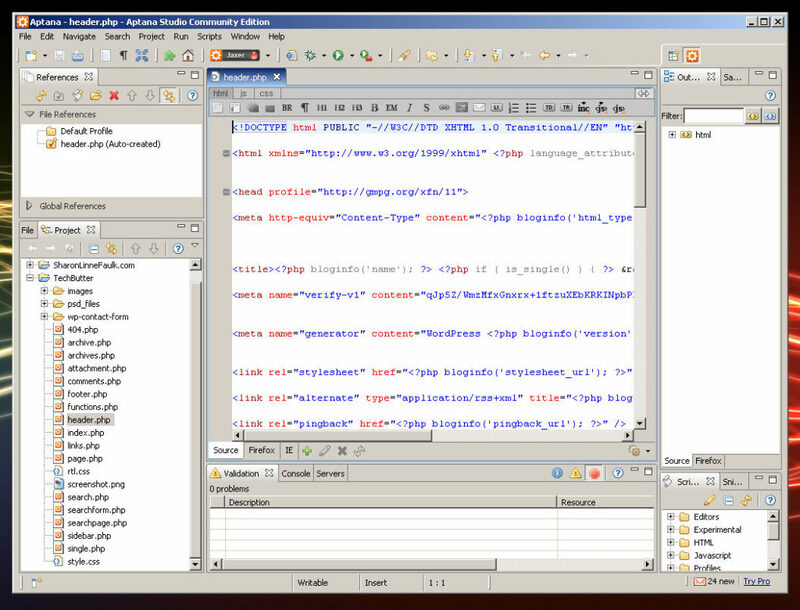 The text editor also functions in the same way, whenever you open it up it opens a text editor in a new Firefox window. I do have to appreciate this though. A lot of times whenever you enter a lot of text into a flash window it bogs down the application. At least that has been my experience with flash based text editors. Whenever I have tried creating a file and saving it, there has been an error message pop up. They have a built in search tool for searching your account, Google or Yahoo. However, I was un-able to use it. Whenever I would enter a search term, press enter or click on Go, nothing would happen. On the front page of DesktopTwo it says that you get 1 gig of free online storage. However, when you look at the hard drive usage information in the information widget, it says that there is a total of 5000 Mb of storage. It says that I am using 1234.6 Mb and that there is 3765.4 Mb free. I am guessing that this is the amount for the installed applications and how much room I have to install more applications. Online operating systems have most certainly came a LONG way. I remember several years ago playing with one and thinking about how great it would be to be able to have an online operating system that I could take everywhere with me. I cannot remember the name of the service either. All I remember was that it had a red background as the default background. I think that this will definitely be a great online operating system as long as they keep developing it and as long as more applications are made available for it. I think that they should release this as a download so that organizations and schools can customize it for their needs. Article update: Tuesday, September 9, 2008: I have updated the screenshots for this article so that they look good with the wider theme. 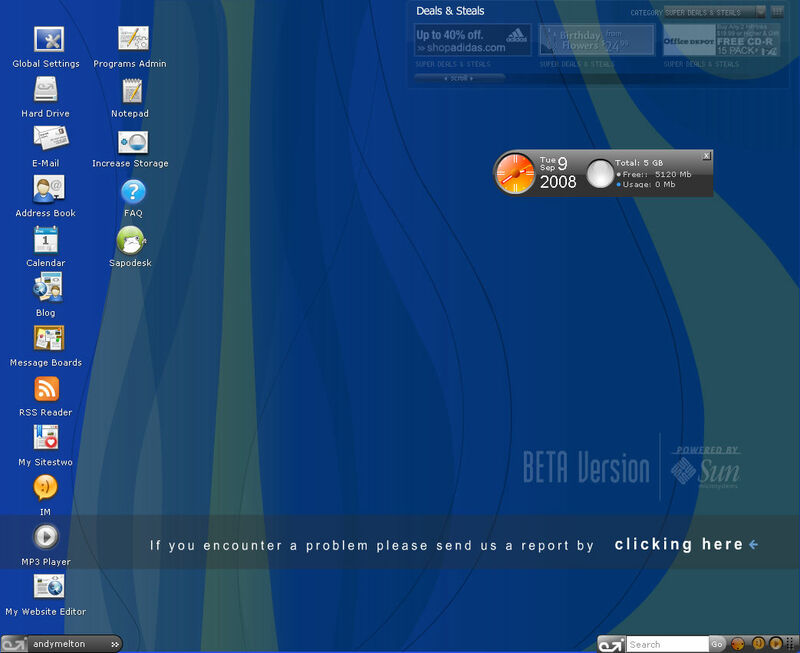 I had to re-create the screenshots but DesktopTwo looks the same now as it did back in 2006. There are a few minor differences but not many. The only original screenshot in this article is that of the MP3 player. The new MP3 player looks different, more like iTunes. 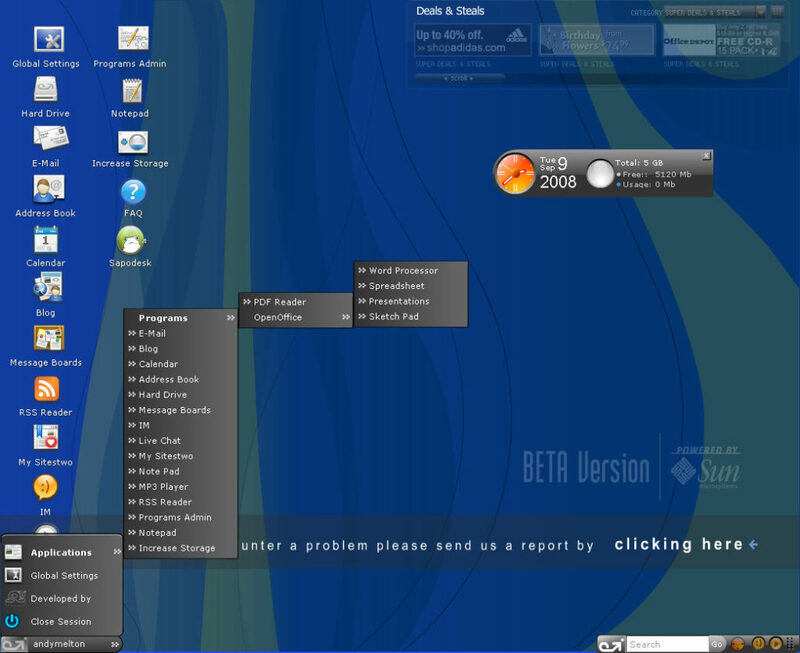 As I said, DesktopTwo has not changed a whole lot. The only difference that I see now is that they are now powered by Sun Microsystems. 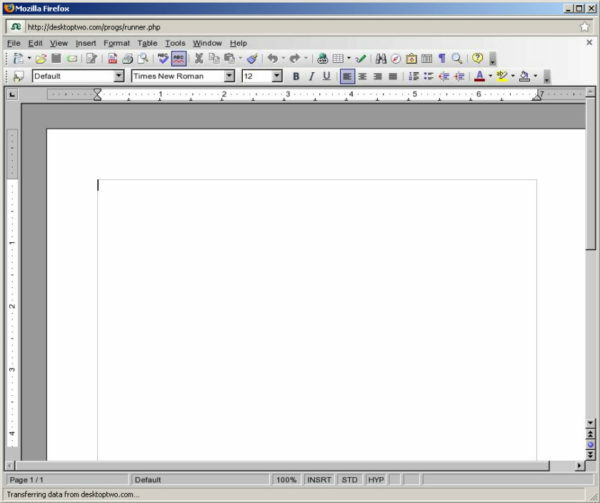 They also have a Java based version of OpenOffice.org available through the DesktopTwo application. That makes the service more convenient. There are also advertisements on the main desktop. They’re not obtrusive. They even dim out if you are not hovered over them. I also updated this article for grammar and coding errors. Please forgive me if I still missed a ton of grammatical errors. English was never my best subject.